Residential Dementia Care In Stroud? When I realised that my mother was no longer able to live in her own home, I was so worried about finding a place for her that I would be happy with. I visited many homes, some were ok, but I was holding out for a Very nice place. Fortunately a good friend of mime had a son who was working on some plumbing at Northfields House. He thought that the home and staff were marvelous, I took that as being a better recommendation than being escorted around being shown what they wanted me to see. I was very impressed with everything at Northfield. I like the staff, the occupational therapist were wonderful, and the rooms were so clean and bright, it reminded me of a good hotel. I liked the garden area, and the way that although it was safe, if anyone wanted to walk around outside, they were free to do so (escorted if needed). I myself felt very welcome each time I visited. I cannot think of a nicer place for my mother. I would not hesitate to recommend Northfield House to anyone. Facing moving into full time care is also a daunting prospect for your loved one. They may fear no longer being in control of their lives and be worried about moving to where they don’t know anyone. They may be concerned that they won’t like the food, that they’ll have no privacy and won’t be able to continue to do the things that still bring them pleasure. If you recognise these fears and concerns for both yourself and your loved one, please be assured we can help. We believe at Northfield House we have created the ideal place for those living with dementia to experience the very best in life. 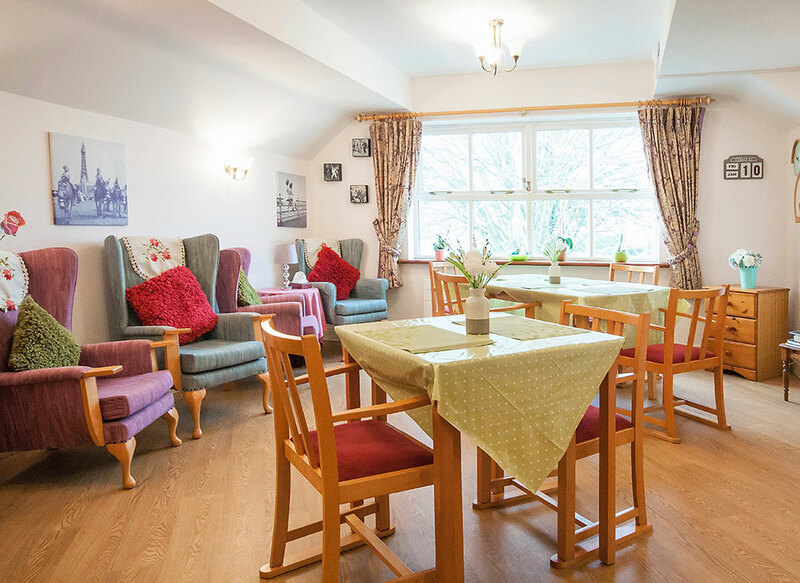 Northfield House is a dedicated dementia home. A wider range of engaging and stimulating dementia specific activities. We have an extensive range of exciting and innovate activities specially designed by our Activities Coordinator to help those with dementia. Keeping active and engaged is vital in enabling your loved one to have the highest possible quality of life. So they’ll have great fun interacting with animals, experiencing nature, gardening in our secure garden, visiting interesting places, singing, engaging in crafts & games and enjoying our visiting entertainers. There’s always something happening at Northfield! Large, new, corporate ‘Travel Lodge’ style homes with many rooms may look good on first inspection but they come with several major drawbacks, particularly for those living with dementia. Firstly their sheer size means that it’s very difficult for staff to get to know all the residents and for the residents to find their way around without becoming confused and frustrated. Northfield’s compact 25 bed size means that all the staff know our small community of residents very well. 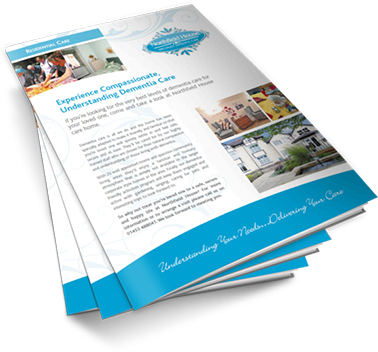 They therefore get to truly understand their individual needs which leads to better care. Secondly it’s much more difficult for a large home with many people working there to get consistently excellent staff. At Northfield we have an excellent resident to staff ratio, very loyal staff and low staff turnover. This all helps us to provide such exceptionally high levels of care. Finally the large corporate style of home tends to be very anonymous. 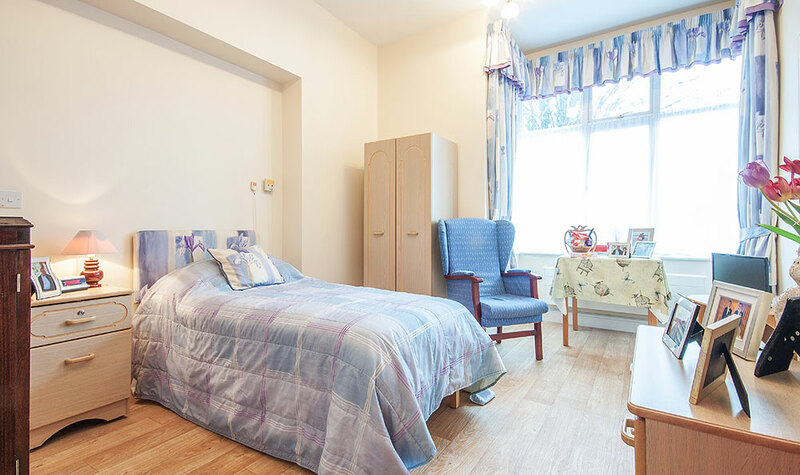 Every room and corridor looks the same and even the communal areas tend to be very nondescript which makes it very hard for people with dementia to navigate. 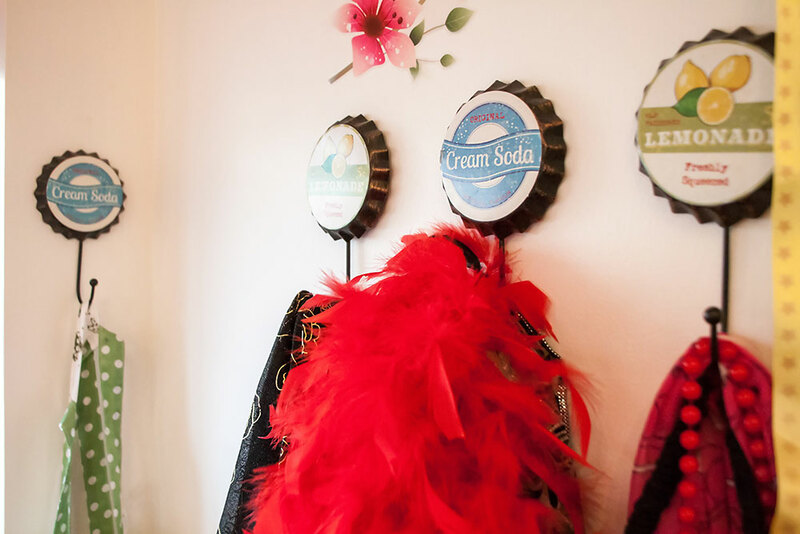 Northfield House has been extensively adapted to make it easy for people living with dementia to find their way around and to recognize each room and it’s purpose. Even the staff uniforms are designed to be dementia friendly. This all helps to eliminate the agitation and worry that would arise if your loved one became confused and disorientated. 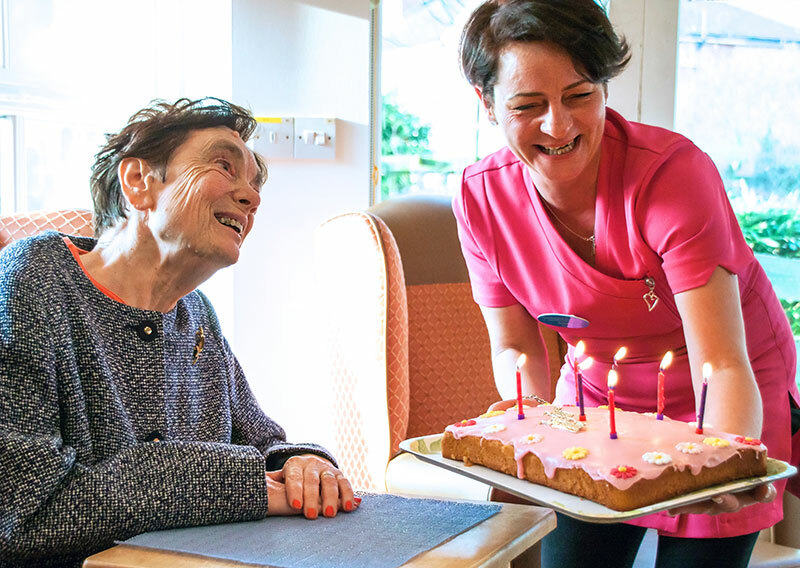 We hope you feel from this brief introduction to the home that Northfield House can offer your loved one a warm, relaxed, safe and secure environment and truly exceptional care. However, the best way to see if Northfield is the right home for your loved one is to come and visit. You are most welcome to visit any time and the kettle is always on so why not pop in and take a look. If you have any questions or would like to arrange an appointment with Carol, the Home Manager, for a confidential chat about your requirements please call us on 01453 488060 or click here to email us. If not, please enter your question in the box below.